Andaman Discoveries has been honored with royal audiences three times, and received a Royal Insignia pin from Her Royal Highness Princess Maha Chakri Sirindhorn in 2008 in recognition of our community work in the village since the tsunami. Since early 2005, with the help of donors and volunteers, we have built and sponsored a successful community center, which has become the focal point of the community, purchased land for the new school, supported adult education classes, assisted with community-based tourism development, implemented a waste management program, and held environmental education camps and much more. Her Royal Highness Princess Maha Chakri Sirindhorn, known as Princess Angel by the devoted nation, is famous for using her interest and expertise in science for the country’s development. Our Status: We completed our Travelife Audit and were awarded Travelife Certified. The process was extremely educational in looking at our company as a whole and how sustainability fits into our company’s core functions and how it will be monitored and evaluated to ensure continued success, implementation and growth. About Travelife: Travelife is an international sustainability certification programme for hotels and accommodations. They work in partnership with tour operators, travel agents and accommodation providers to help protect destinations for the future and increase the positive impacts of the holidays they offer. This includes supporting local businesses, buying local goods where possible, and protecting the environment and the well-being of people, including their staff, customers and suppliers. By working in partnership with accommodations, tour operators and travel agents around the world, together they are starting to change the way tourism businesses operate and make a significant contribution to sustainable tourism. Finalist:“Engaging Communities Category” The award criteria highlights that Andaman Discoveries continuously “Recognizing direct and tangible economic and social benefits that improve local livelihoods, including training and capacity building” fair wages and benefits, community development, health care and education.” Awards are a spectacular way to monitor and engage in better practices within an organization and allow for positive growth. 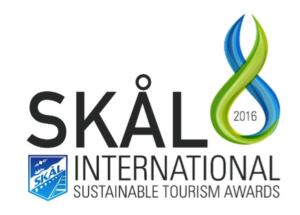 Winner: Skål International is an Affiliate Member of the UNWTO whose mission is to promote the development of responsible, sustainable and universally accessible tourism. It is an honor to win this prestigious award and be recognized by SKAL International. 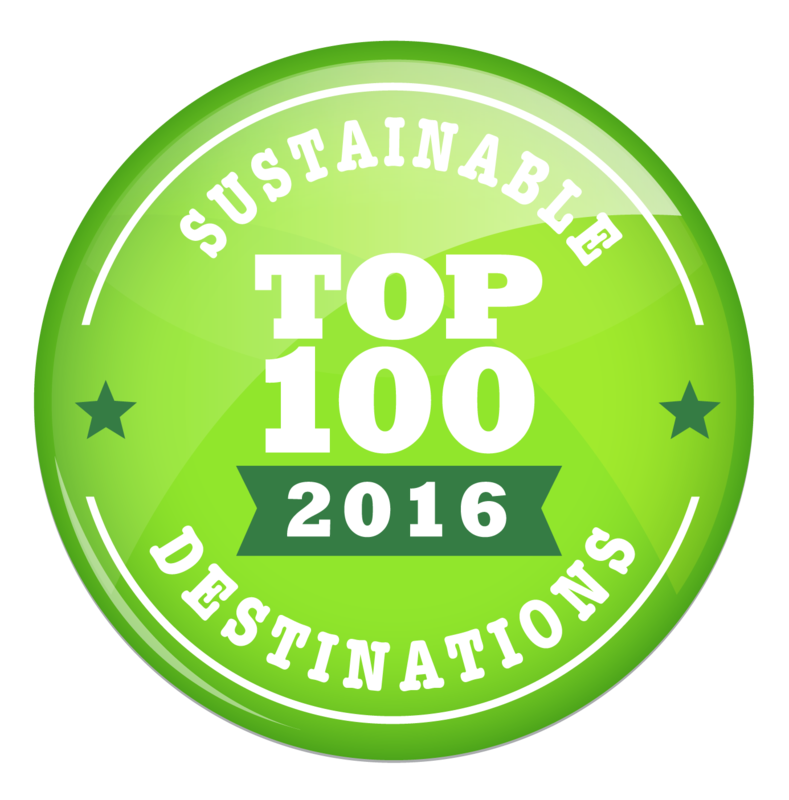 This award allows us to increase visibility and get recognition of our outstanding performance in terms of sustainable and responsible tourism. 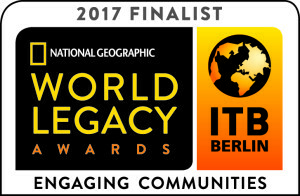 Winner:We applied using the amazing and unique village of Tung Dap that offers the chance for guests to travel in a responsible manner and also be engaged and immersed in the local culture by staying with a homestay family. Andaman Discoveries surpassed the criteria set in place to measure a company’s sustainability in relation to its tourism practices. We proved that the Andaman Discoveries programs improve the quality of life of the local communities and that we engage in socially responsible tourism, while taking local and regional identity, culture and nature values of the destination into account. 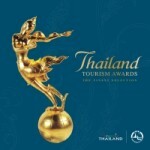 Winner: The 10th Thailand Tourism Awards “Kinnari Awards” Award of Excellence for Inbound Tour Programs. Andaman Discoveries won for creating effective and sustainable tour programs. The program allows guests to experience life, culture and Nature along the Andaman Coast. Guest participation instills a sense of pride and ownership among the local homestay communities, encouraging them to preserve their local culture and natural resources. 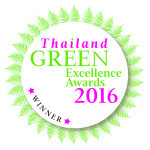 Winner: The Tourism Authority of Thailand’s Green UK Travel Awards highlight and promote Thailand’s dedication to the conservation of its country’s natural and cultural resources. Andaman Discoveries has excelled at meeting these goals by creating effective and sustainable volunteer programs. Judge’s comment: It is rare to come across a volunteering organization that is as well thought-through, transparent and honest as Andaman Discoveries. They really are trying to use volunteers in a productive way to improve lives. Finalist: Andaman Discoveries was a Finalist for the Wild Asia Award under the category of Cultural Preservation. This award recognizes engagement and efforts by tourism businesses in preserving, enhancing and promoting local cultures and heritage. Andaman Discoveries engages local communities to be the facilitators of tourism. Since 2012 they have been developing a community based tour with the indigenous Moken sea nomads within the Surin Islands National Park. Winner: TO DO! is the involvement of the different interests and requirements of the local people through participation from the beginning and during the planning and implementation phases, intended to Awareness Raising, Wide-ranging benefit, Qualified jobs in tourism, Strengthening of identity Awareness Raising. Finalist: Andaman Discoveries is one of twelve finalists for the World Challenge 2009, a global competition aimed at finding projects or small businesses from around the world that have shown enterprise and innovation at a grassroots level. As a finalist, we were featured on the British Broadcasting Corporation (BBC). Watch the Television Segment Here! 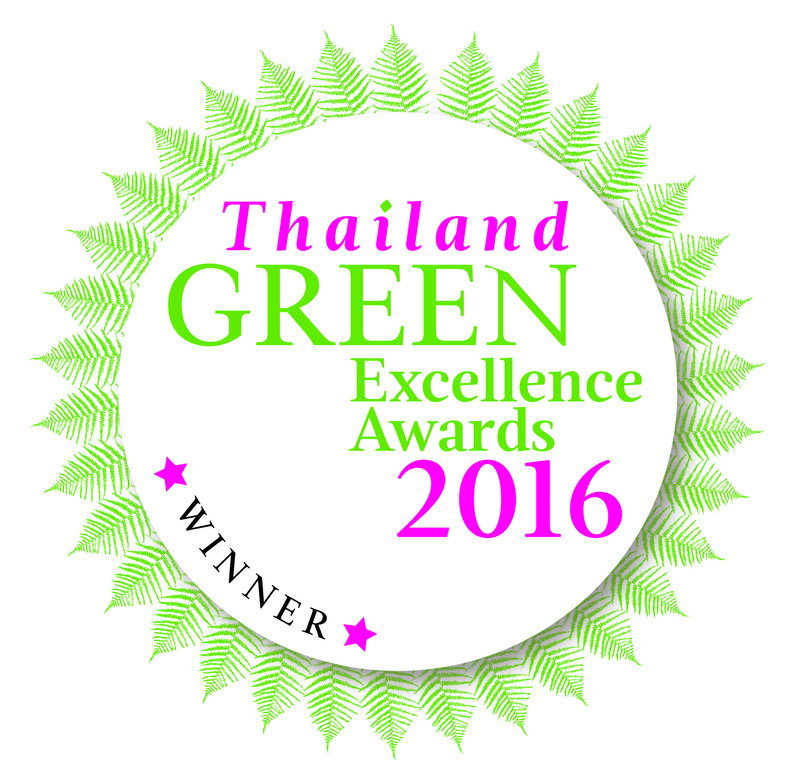 Winner: The TAT Green Awards are intended to highlight and further promote Thailand’s dedication to the conservation of its natural and cultural resources, and to support sustainable tourism development. The winners were chosen in partnership with responsibletravel.com, based on previous entrants into the Responsible Tourism Awards. Winner: The Global Vision Award from Travel + Leisure magazine gives global recognition to organizations within tourism and dedicated to breaking moulds and pushing boundaries, while working with the environment around them. Recipients of this award are considered to be the most progressive, forward-thinking visionaries who are setting new travel and tourism standards in areas such as cultural reservation and ecological conservation. Winner: The SEED Initiative (Supporting Entrepreneurs for Sustainable Development) promotes and supports exceptional multi-stakeholder partnerships, which have developed innovative, locally-led solutions to the global challenges of sustainable development. SEED focuses on locally-driven, entrepreneurial partnerships in developing countries. Its goal is to inspire, promote, and build capacity to support the many innovative ways in which diverse groups are working together to improve incomes and strengthen livelihoods, tackle poverty, and marginalization, and to manage and conserve natural resources and eco-systems. Winner: A mere two years after its conception, Andaman Discoveries has won this prestigious award in the category of “Best Preservation of Cultural Heritage” for our ground-breaking work in crisis relief and sustainable community development since the tsunami. Responsible Travel is a new way of traveling for those who have had enough of destructive mass tourism and want to minimize the social, environmental, and cultural impact of their trip. Here at Andaman Discoveries, we use local knowledge and International expertise to ensure that both visitors and locals get the maximum benefit from each trip. Finalist: For three years running, Andaman Discoveries’ homestay program was the runner-up for Asia’s largest Responsible Tourism Award, hosted by Wild Asia. The awards recognizes exemplary efforts and for making a real difference using responsible practices both at village and organizational level. Wild Asia sees the awards as the first step in engaging wider stakeholders in partnership, understanding, and working towards sustainable development goals. In 2007, Muang Kluang was awarded “The Most Outstanding Community-based Tourism Award” by the Tourism Authority of Thailand. The awards are designed to promote the conservation of the country’s precious natural and cultural resources and support sustainable tourism development in tandem with the quality development of the Thai tourism industry. Many people wondered if it’s realistic to think that the villagers can do tourism by themselves without Andaman Discoveries support. The Tung Nang Dam community-based tourism group proved this by receiving The Most Outstanding Community-based Tourism Award for their work in promoting the conservation of natural and cultural resources and supporting sustainable tourism development. The acknowledgement of community-based tourism by the Thailand Tourism Authority and The Office of Tourism Development of Thailand’s Ministry of Tourism and Sports is great news for the communities in which we work in who are already receiving international awards for their work.